It was easy and simple. So much easier then dealing with my phone manufacturer. Loved the salesman and turnaround time. I would definitely return! Store was neat and clean and the repair was done quickly and professionally. Thanks You!!! Great service and it looks like new! Repair was done in a timely manner and fixed the problem better than expected. Everyone I spoke with was kind and attentive. They called when they said they would call and did well. Whether you are studying for an exam or taking a shopping day at the Waterford Lakes Town Center, a broken cell phone, tablet or computer can put your whole day on hold. UCF students, Valencia students and those who work in the East Orlando area need their devices repaired efficiently and for a reasonable price. 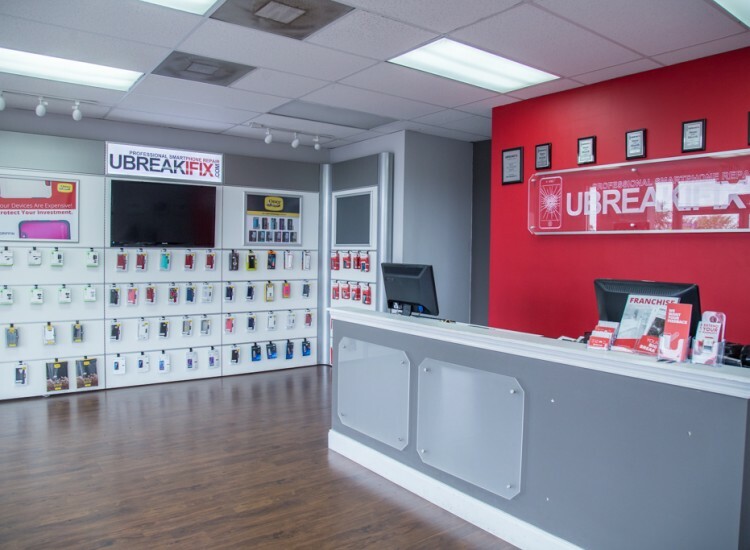 When you don’t have all day to wait for your device repair, come to the East Orlando uBreakiFix location. Our diagnostic service is a great way to determine which repair your device needs. A technician will examine the basic functions of the device as well as check for surface damage. These can be indications of what the origin of the issue is and helps the technician determine what repair will be best for the device. 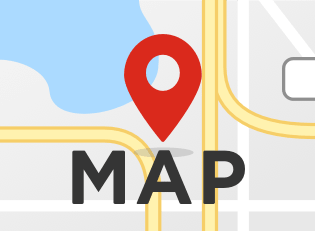 Located near the Waterford Town Center between E. Colonial Drive and Alafaya Trail, we are just a short drive from anywhere in East Orlando. There is even a Lynx bus stop just a 5 minute walk away. We’re easy to find, just follow your nose with the aroma of Pizza coming from the Papa John’s right next door. 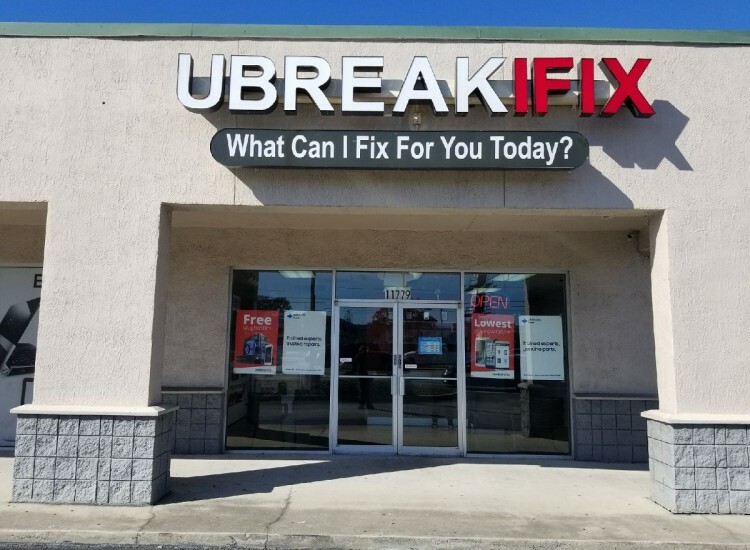 uBreakiFix is famous for our short repairs at an affordable price. All of our repairs are completed right in the store, by the technicians that meet you at the door. We know that the college students and tourists that frequent our store do not have time to spare, so most of our repairs can be completed in about an hour. Customers are free to wait in our store or explore all of the restaurants and shops that surround our store. uBreakiFix guarantees that you are getting the absolute best price for your repair. If you can find a lower advertised price for the same repair we will happily match that price for you. All of our repairs also come with our standard 90-day warranty that protects the repairs after you leave the store. 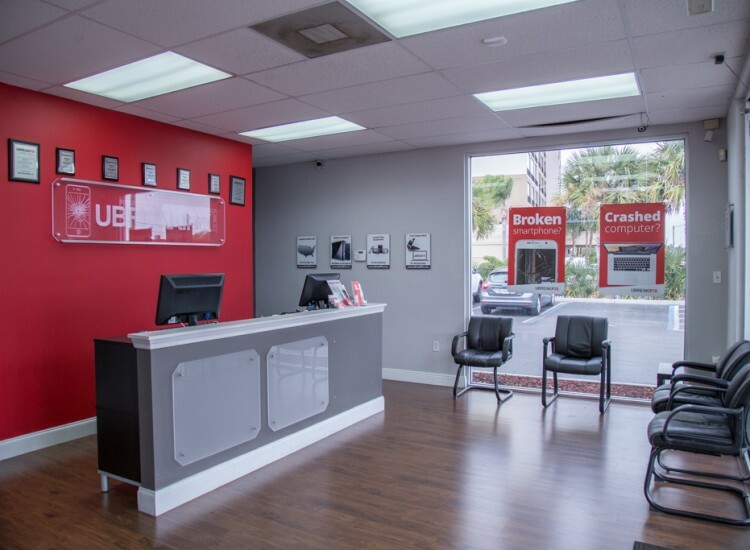 Don’t deal with a broken screen, depleted battery or water-logged device for another day, bring your electronics to uBreakiFix for a professional diagnostic and repair service. Rob is a knowledgeable and motivated technician with many years of experience in the audiovisual industry. He has a passion for recording local bands, and would one day like to be sole proprietor of a record label. Ricky is a dedicated technician who enjoys taking apart and fixing electronics and learning how they work. Ricky started at a young age building computers and his passion for working on electronics has only grown since. He is currently a student studying for his B.S. in Information Technology and would like to be a business manager one day.